Today's offering is my second cover for Dynamite's mini "Lone Ranger: Death of Zorro". Been pretty busy lately with the funnybooks: currently working on a Detective issue (I will be fully illustrating both issues 874 and 875) and getting ready to start on another Black Panther issue. I have a couple of other projects in development (creator owned projects) I can't wait to tell you guys about in detail (not sure when I can, but I can't wait ;)). Today is the birthday of one of the greatest writers of thriller and horror ever: Edgar Allan Poe! 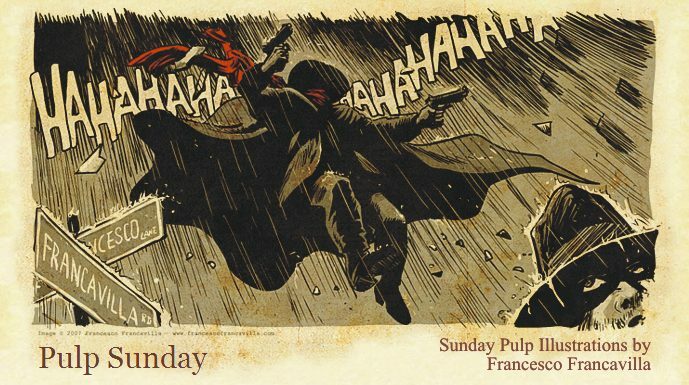 And as many of you Pulp Sunday friends know, I am a huge fan of Poe. I wish my current schedule allowed me more time to do a proper tribute, but I managed to do a quick - and a bit fun - tribute to the Mask of Red Death (below) and also found an old commission I don't think I have ever posted her eon the blog (above). For those who enjoy the "making of" I am posting some layouts from issue 513 (click on the above image). Above is the cover for issue 12 of Matt Wagner's Green hornet Year One, which concludes the second arc of this critically acclaimed tale of the first year of operation of the GH and Kato. And to keep it in the "family" the second cover (below) is for Green Hornet's gran gran pa: The Lone Ranger, here in the first crossover with another favorite of mine (and yours): Zorro. The crossover is a 4 issue mini written by Ande Parks and titled, sadly, "Death of Zorro". Don Diego is here in his late 60s and will ask for Lone Ranger help when things go bad. Since Dynamite solicited the book, I read a lot of people thinking this mini means no more ZORRO YEAR ONE.